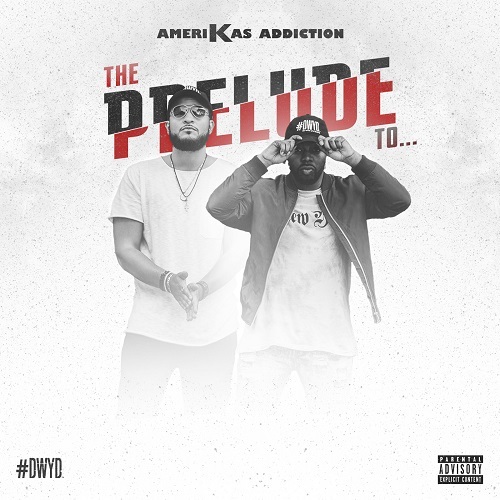 Amerikas Addiction (David Kelly vocalist and Joshua Scarver producer) new EP "The Prelude To,,," is a mixture of songs, of emotions that range from trying to make it day to day survive, to relationship trials and tribulations, to having fun in the moment and back to reality again. 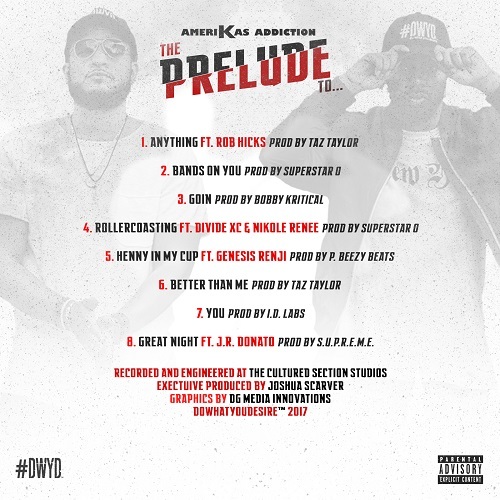 The EP features up and coming artists Rob Hicks, Genesis Renji and J.R. Donato of Wiz Khalifa's Taylor Gang Records. The album also features diverse production from Taz Taylor, Superstar O, Bobby Kritical and Taylor Gang producer I.D. Labs. The album was executive produced by Joshua Scarver co-founder of #DoWhatYouDesire .